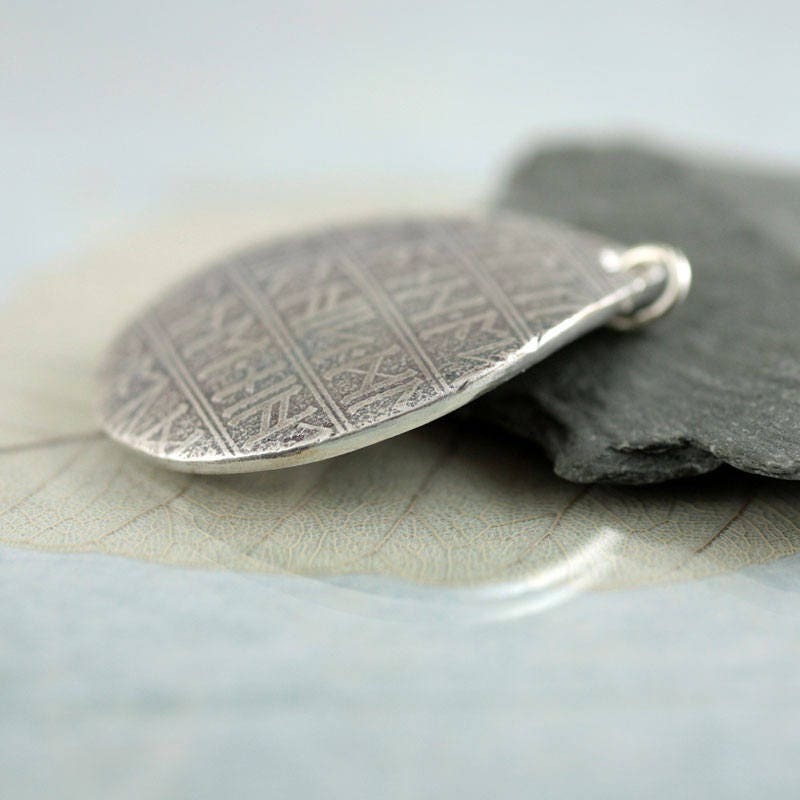 Teardrop-shaped necklace made in recycled fine silver and impressed with a Viking rune script stamped into the metal. 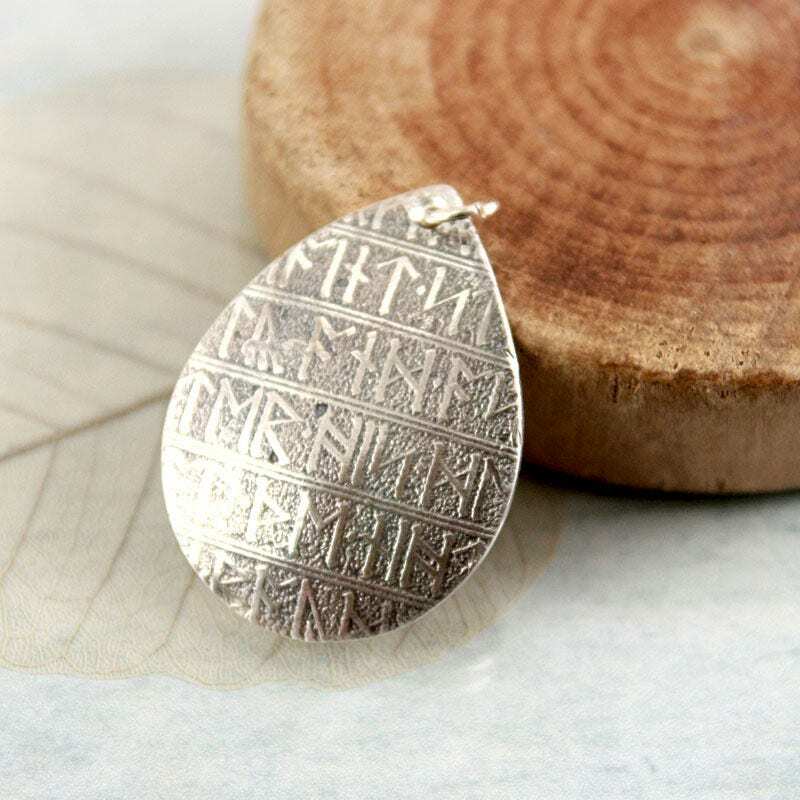 The runes cover the front entirely - like wearing your own rune stone segment. 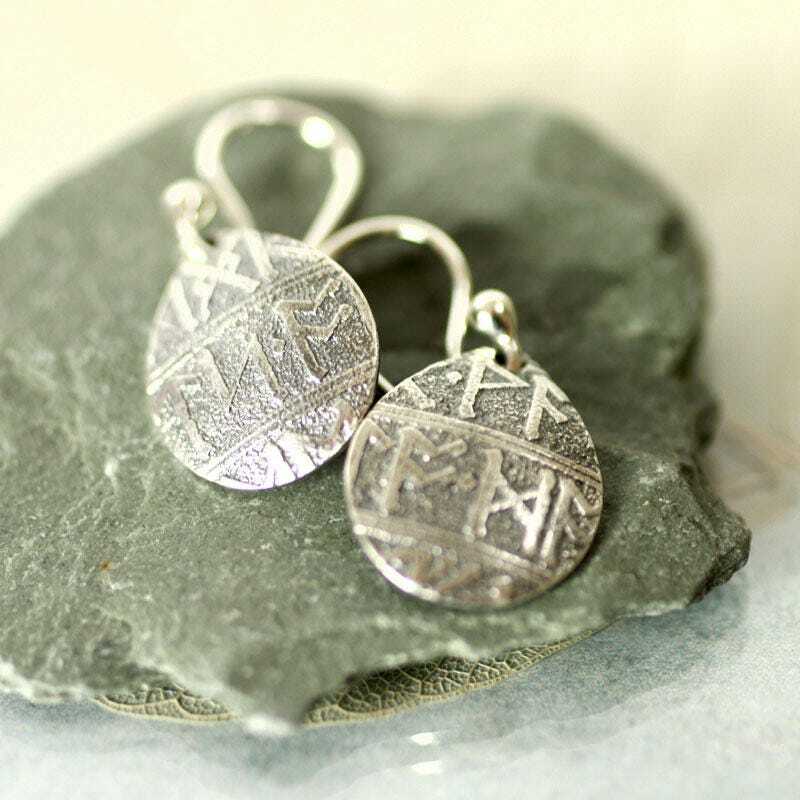 Runes are the letters in a set of related alphabets known as runic alphabets, which were used to write various Germanic languages before the adoption of the Latin alphabet and for specialised purposes thereafter. Runology is the study of the runic alphabets, runic inscriptions, runestones, and their history. I love the strong straight lines - no doubt chosen because they are quicker and easier to carve precisely into both stone and wood. The text is from Morte D'Arthur - a section describing Arthur and Guenevere's wedding feast. 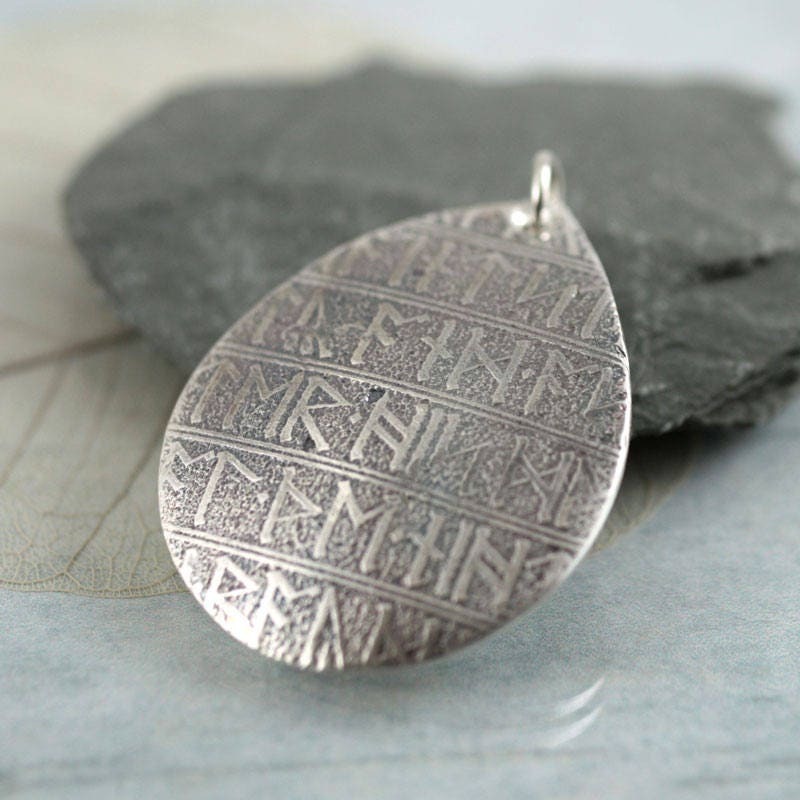 I have translated it to runes and mad a texture from it to imprint my silver with. 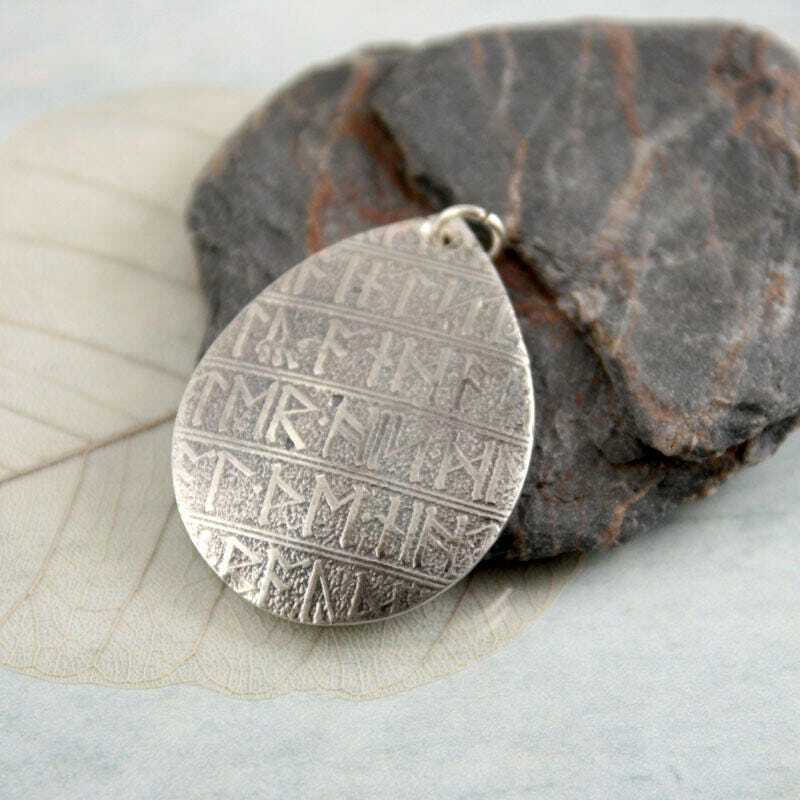 The story of Merlin and Arthur is one of my favourites and I think the runes fit it really well. 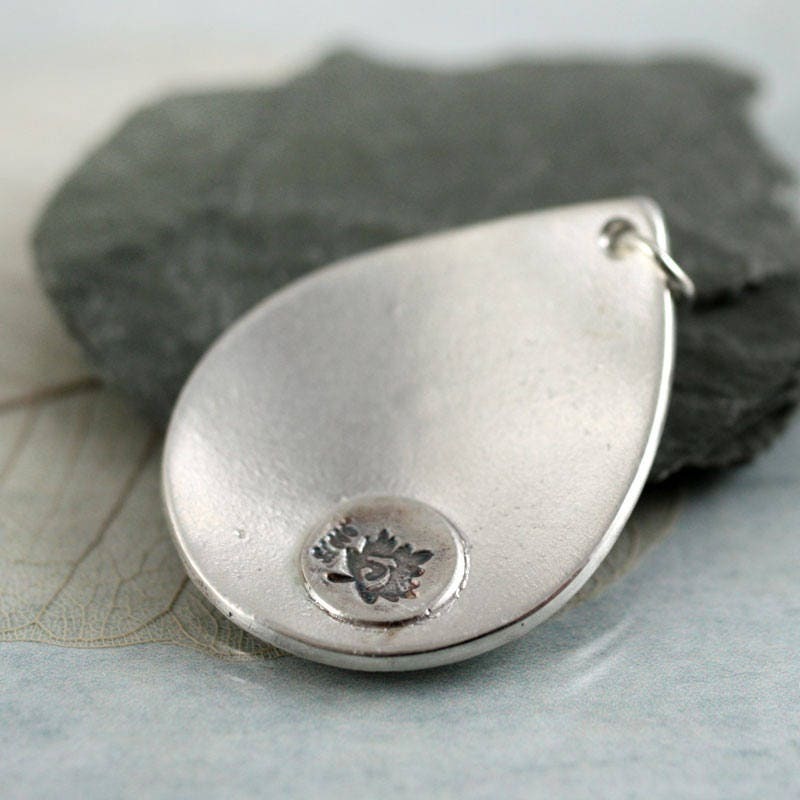 The pendant measures 30 mm in length and 23 mm in width. 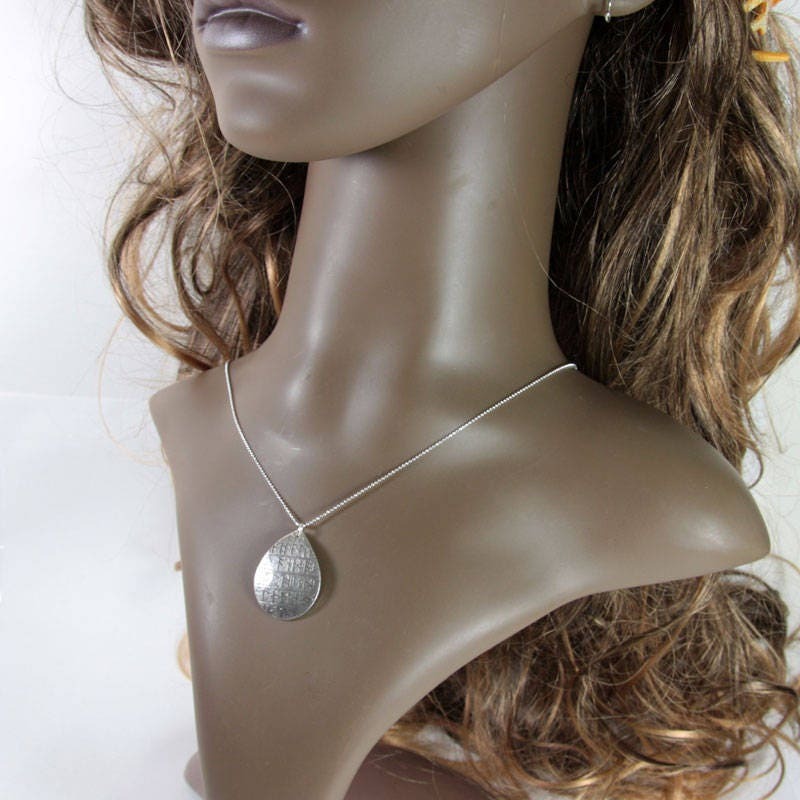 * Sterling silver cable chain - 40 to 45 cm long (16 to 18 inches). Will arrive in a little jewellery box ready for giving.